So… did you see that issue number above? 200. That’s 200 weeks in a row, no misses, no illness, no holidays. If you want a way to gauge your efforts in any endeavor, that’s what you want to look at: unbeatable consistency. Thank you, Dan. It was nice to be home for a change on a weekend. I went to a high school football game, watched college football and shopped the Farmers Market. This is the best time of year for local produce and I always enjoy all the weird booths. I’m not sure about some of the stuff people sell. One woman had porcelain dolls for Halloween that are fodder for an ax murder movie. These dolls were just creepy. She had them next to these cute kid’s costumes, but I was a little freaked out. The upside of being home is that I can train every day. I also walk, cryotherapy, and meditate more when I am home, too, so this is “win-win” for me. I got sick on the tail end of my last European trip and I feel like I lost some momentum. But, sleep and liquids for the win. The days are getting shorter and Utah is beginning to cool off. My pumpkins are turning a nice of orange and we will be seeing snow sooner than later now. It’s just the way it is. I have some big things coming up now, but, for today, I am going to enjoy these beautiful days outside. There were some fun items on the web this week. This article makes a point that I remember well from my years of bulking: the eating just gets old. It “sounds good,” but it can be awful. “Tell a story.” That is the key to presentations. I am considering this idea of blacking things out as this article suggests. People can’t read a slide and listen to you at the same time. When using a slide deck, keep it simple. Use brief bullet points and pictures that tell a story, but refrain from making it a novel. Try not to use more than three bullet points or one image at a time. When you forward to a new slide, don’t talk. Be quiet and allow the audience to read the data without your interruption. If you advance to a new slide while speaking, they are going to tune you out to take in what they see. Science has proven that the brain is incapable of consciously listening and reading simultaneously, so let them do one without the other. Be quiet long enough for them to read and understand the slide. Then black out the screen before you start talking. This allows you to reengage without competing for their attention, which is easily achieved with handheld slide clickers and shortcut keys. This is an article that I really worked overtime to make my point. OTP, as always, does a great job adding the pictures and materials to make the articles so much better. Exercise HAS a role in FAT loss. Over on medium, Brian Gwaltney is repurposing my older blog materials. This article, written “live” from discus camp, might be as good as I have done as a coach. I need to come back to this article and expand it. I’ve met Alex Smith. He is a great person. He deals with issues as a true professional. It was interesting to read this article on his approach to IF. I have another quiet week. I am getting ahead on a few projects and I am playing with two ideas for the future. So, until next time, keep on lifting and learning. 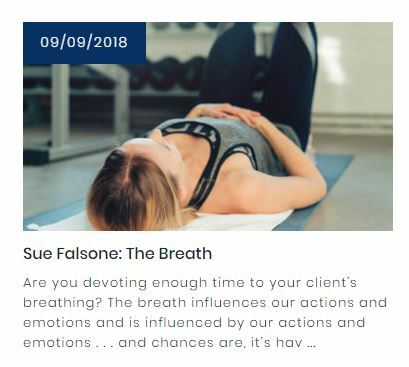 Are you devoting enough attention toward breathing patterns? The breath influences our actions and emotions and is influenced by our actions and emotions . . . and chances are, it’s having a far greater physical effect than you think. “It is a nice sort of story,” said the Wart, because it seemed to be over. Merlyn took off his spectacles, dashed them on the floor and jumped on them with both feet. If there is a better line in literature than this, “Merlyn took off his spectacles, dashed them on the floor and jumped on them with both feet,” I don’t know what it is. Oh, sure, quote Shakespeare all you want, but I would argue that this is the most real line I have ever read. Most parents, many teachers and all coaches have had this moment: the kid just won’t shut up, let it go, or leave it alone. I find this story funnier and funnier as I age; perhaps, I didn’t see the humor when I was 13. Wart wants Merlyn to do something Merlyn cannot do. I can remember a transfer student (and her mother) arguing that she didn’t need to take any of our coursework at the school because she was obviously too qualified to take basic coursework. But, she will need these classes to fulfill the graduation requirements. But, if you want to go to this school, you need to take these classes. But, we can’t give you a diploma without classwork, testing and evaluation. This continued for a long time. I finally threw my glasses on the ground and stomped on them. Kay is going to get his adventure. As we move forward in this story, this adventure, as well as the Boar Hunt with William Twyti, will be a chance to bring many of the story’s characters together. In the next section, we will learn about Merlyn’s magical abilities and how he actually does magic. Wart is just beginning to discover that Merlyn has limits on his abilities. If you continue reading the rest of The Once and Future King, you will discover that Merlyn’s “overlooking” or forgetting, depending on how you read it, a key point is going to be a huge issue for King Arthur. 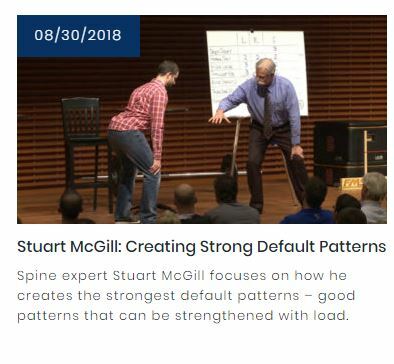 Spine expert Stuart McGill focuses on how he creates the strongest default patterns – good patterns that can be strengthened with load.